Ring Holder also available in Polished Brass. Don't take the chance of losing your rings, know where they are when you take them off! May we suggest 2 or 3 of them? This lovely solid brass ring holder has three round feet and a graceful design. The brass is then finished with a heavy silver plating. 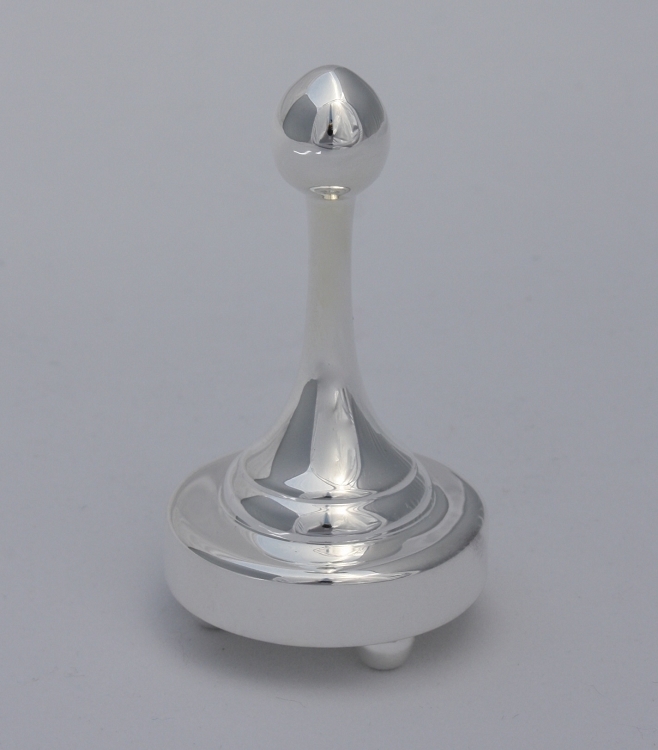 The ring holder is 3" high and 1-1/2" in diameter. The silver is treated with an anti-tarnish finish to help keep it shining. Also available in polished brass. Weighs 6 ounces. The ring holder is beautiful, well sized for a bedside table or to sit next to jewelry boxes, and is a good quality heavy metal. I couldn''t be more pleased with it! This charming little ring holder makes the perfect gift. Available in both Polished Brass and Silver Finishes. Cast of solid brass. Ships in a lovely gift box.